The lovable little blue heroes, the Smurfs, are finally coming to the big screen! Columbia Pictures and Sony Pictures Animation will release the movie in 3-D and 2-D on July 29, 2011. Sure to be a summer blockbuster, this film has something for the whole family: live action, CG technology, and chocked full of adventure and fun! 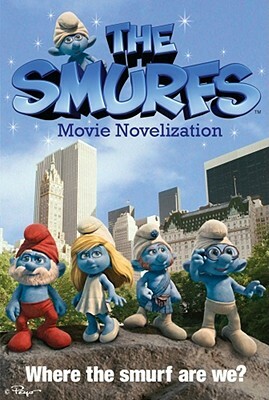 Based on the ever popular cartoon, The Smurfs movie follows the smurfs from their animated medieval European forest village to the live-action present day, hustle and bustle of New York/New Jersey. Pursued by the ever evil wizard, Gargamel, the Smurfs have to navigate this unfamiliar world and try to find a way back home. Along the way they meet the Winslow family, and the friendship they form turns out not only to be valuable to The Smurfs but to The Winslow's as well. The Smurfs' tremendous sense of community, loyalty, and their simple approach toward life is a stark contrast to the everyday distractions and technology that fill The Winslow's lives. In the end, in typical Smurf fashion, the lovable blue creatures will prevail while helping to bring this fractured family closer together. This BIG adventure, will be the most action-packed, funniest, and Smurfiest adventure yet!